Nikki Bell MinstF (Cert) is an award-winning relationship fundraiser, #SocialCEO Rising Star winner, and international speaker. Nikki has used and taught self-shot video techniques to hundreds of fundraisers and charity teams across the UK and Europe; resulting in multiple five-figure partnerships, supporter recruitment, and increased engagement. With a certificate in fundraising and over eight years’ experience in the charity sector, Nikki has worked with community, individual giving, telephone, F2F and corporate fundraising teams for charities large and small; responsible for growing and leading fundraisers, developing strategies and raising money through innovation and strong relationships. 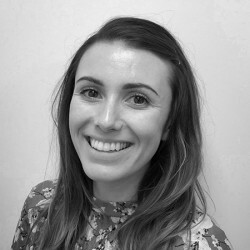 Having recently worked with the British Heart Foundation, leading fundraising for the North East of England and managing the charity's 2018 brand refresh, Nikki now works as a consultant and trainer with KEDA Consulting. With a passion for supporting and celebrating brilliant fundraising, Nikki sits on the Institute of Fundraising’s National Fundraising Convention board, as well as organizing the North East of England Fundraising Conference.